In this second part, we’ll get our hands dirty. We’ll be replacing most components with ours and start tinkering with the printer. There will be CAD design, assembling, wiring, and configuration required. 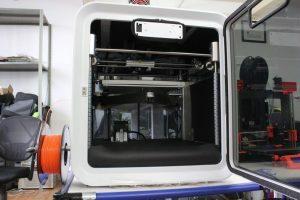 The carriage design is a step required in most 3D printer modifications. 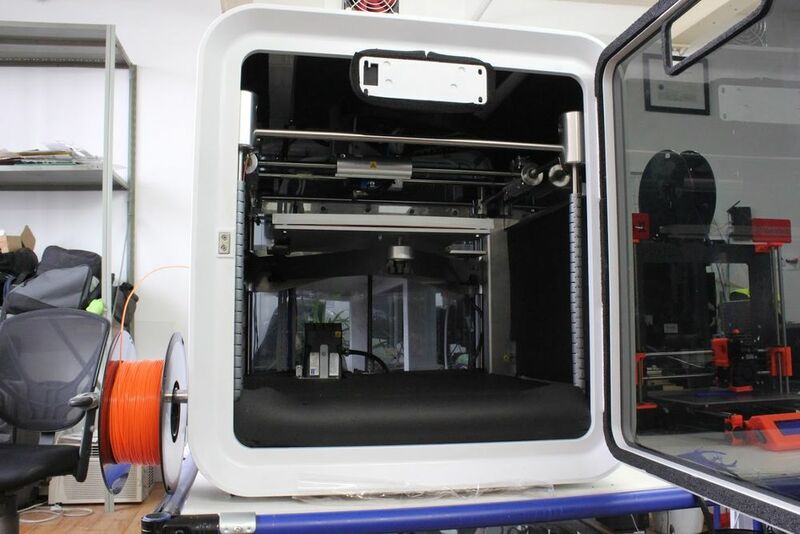 Unless someone already designed a bracket for your printer, it’s highly possible that you’ll need to make your own. Don’t worry, this step is a lot easier than it looks and we’ll give you all the tools you need to do it. The first step is to decide how the whole extrusion system will look. 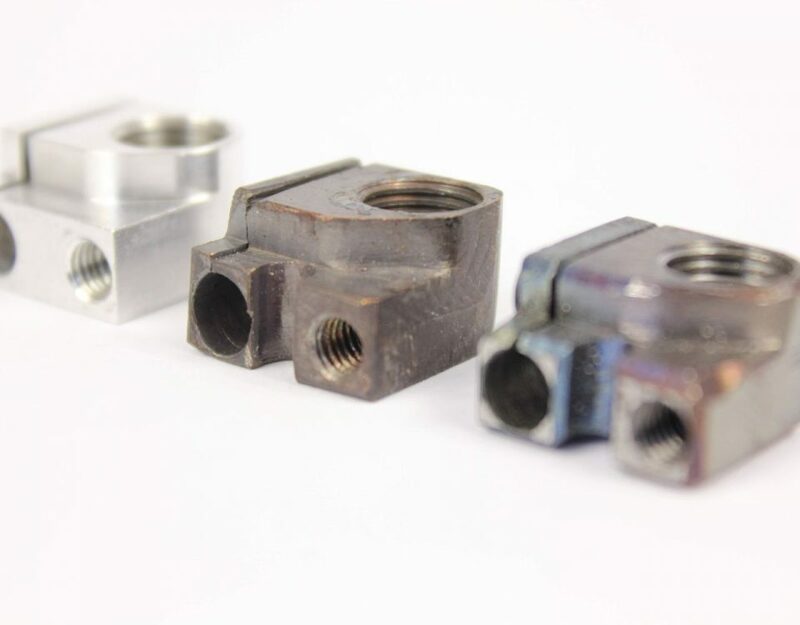 Placing both the extruder and hotend is a good start, so you can figure out the mounting bracket position and how to plan your cable management. For this project, we also have to think about the liquid cooling loop. The cooling block you see are Dyze Design’s first generation blocks. They had fixed barbs, so configuration was a little more limited. 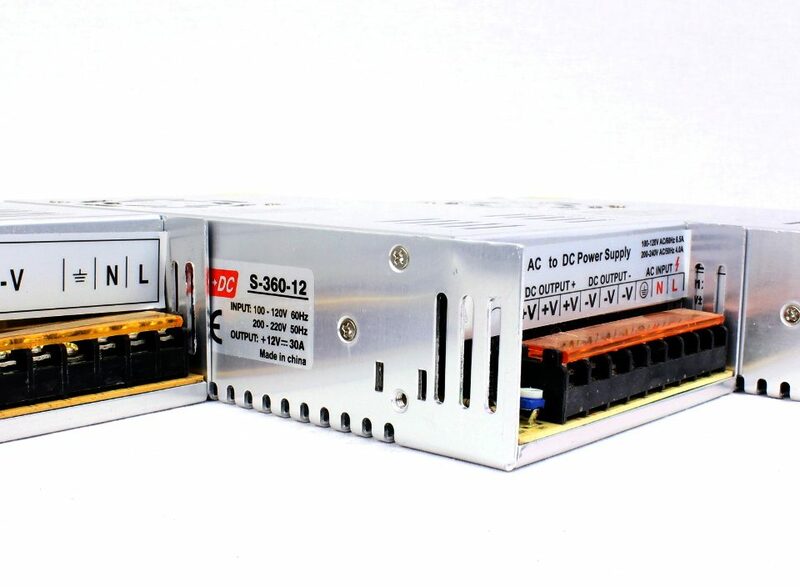 The new ENP series blocks are configurable and much more flexible in term of set-up. Next step is to prepare your design files. 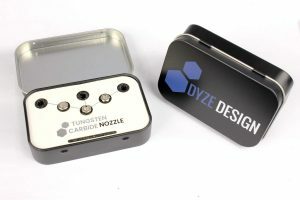 If you’re planning on using Dyze Design products, you can download our 3D models from the support section, this will save you some time. 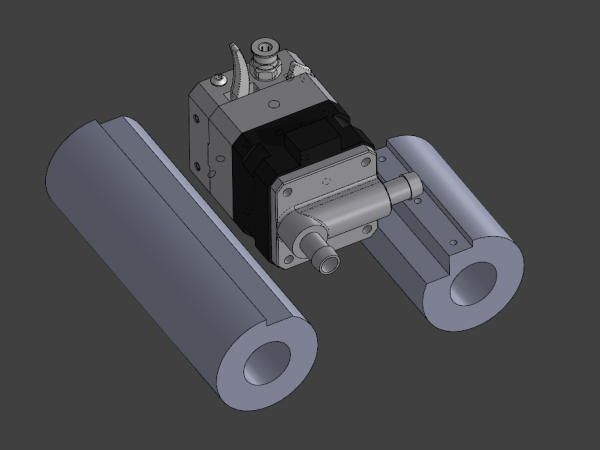 Try to reproduce the carriage components as best as you can. Measure everything and replicate them on your CAD software. 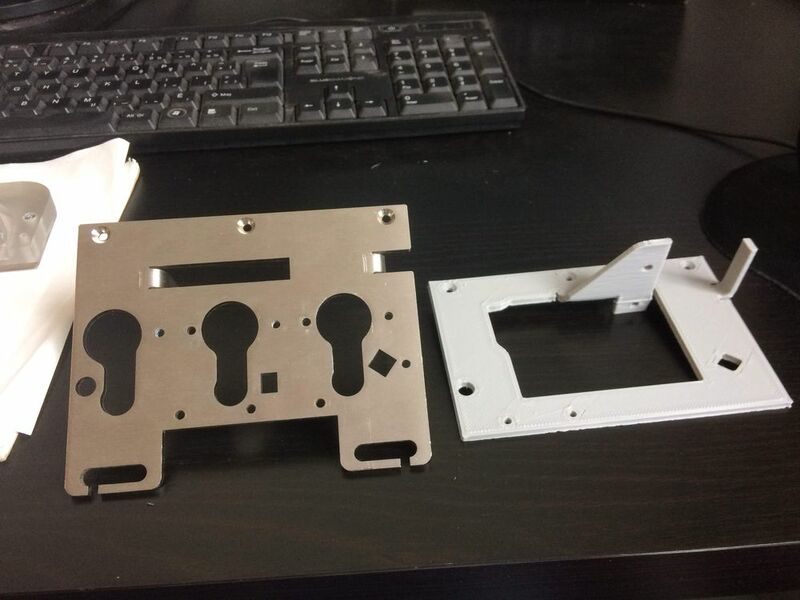 Once you have placed the carriage components and the extrusion system, you can start designing the mounting plane. Our first design didn’t include a bracket for the cable chain, but we added one on our design revision. Once the design was working nicely as printed, we ordered it from a sheet metal supplier. The plate was made from 303 stainless steel and required 3 bends. We managed to get it for around 70$ within 5 business days. You can download the DXF, PDF and STEP file here. 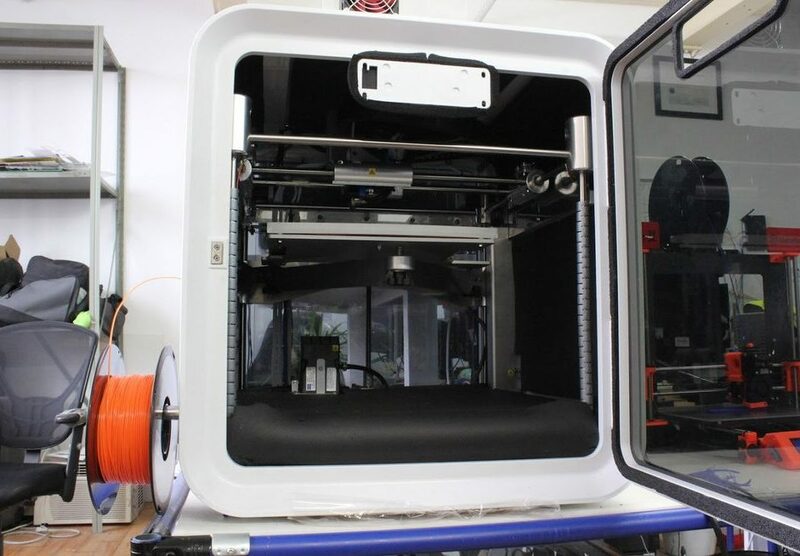 Marlin firmware: Probably one of the most common firmware in the 3D printing community. It’s compatible with a ton of boards. It’s often the best solution for cost-effective printers. Repetier firmware: Very similar to Marlin. 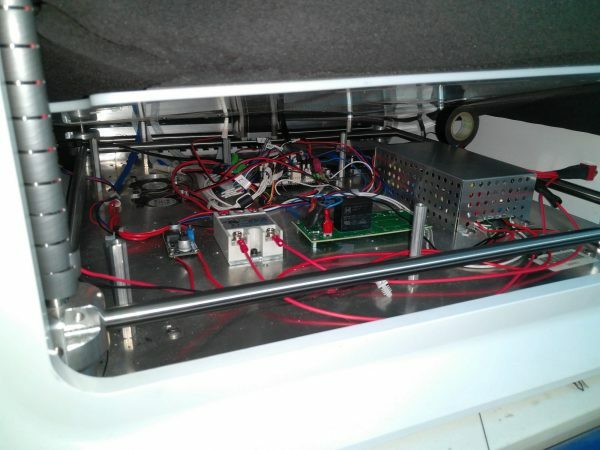 Revolve: Blend between an Arduino and a Raspberry Pi into an even stronger machine. 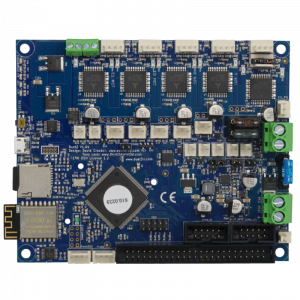 Has full HD output, OS and excellent logic control. Duet Wifi: Powerful, easy to use, convenient. We decided to go with the DuetWifi as we had a good experience with it. This board has some major advantage over the others. First, it generates its own web interface. This is a major advantage as we can send our code and control it from any device having a web browser. 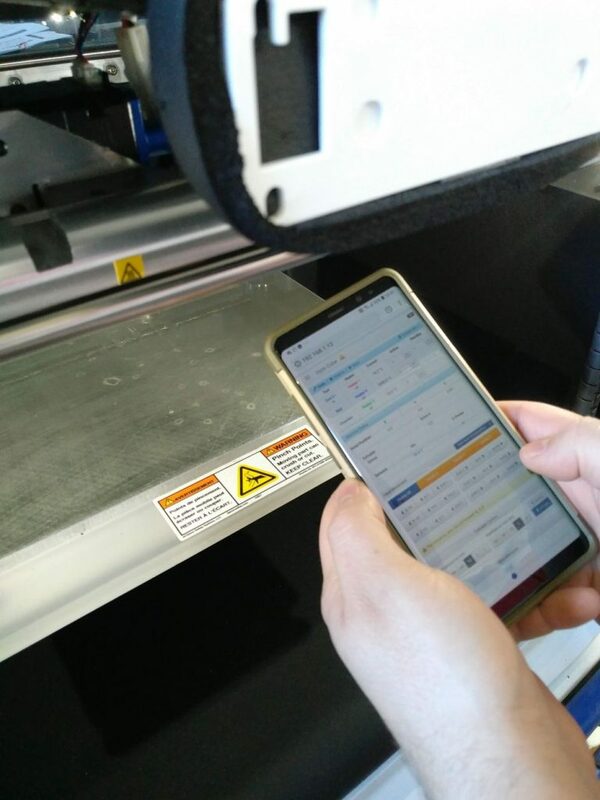 We use our phone when doing calibrating routines, and our computer when slicing a part. Also, this removes the needs of having an LCD on the printer. The Duet is very easy to configure. The whole Gcode idea is easy to work with. No need to flash the firmware. The stepper drivers from Trinamics are getting more and more popularity. The DuetWifi use them well. We were very impressed by how smooth it moved the motors. The difference is hard to believe when comparing an Allegro A4988 or a TI DRV8825. We’ll be keeping the 24V power supply (on the right, under the sheet metal box) original from the cube. The rated current is sufficient for our 24V hotend and motors. We’ll add a step-down voltage regulator for 12V (seen on the left). The pump and some small components will need it. We used a small LM2596 based circuit as it is good and affordable. Anything equivalent will do. We’ll also keep the relay for the environment heater (green PCB, left from the 24V PSU). Since the heating volume is big, there is no need for a PID loop. The temperature change will be very slow and a typical “Bang Bang” controller type will do a fine job with the temperature. We’ll add an SSR controlling AC for the 300W heated bed (white box, left from relay PCB). Make sure it’s an SSR taking a DC input which controls AC output. We’ll be able to precisely control the bed temperature using this component. It’s capable of handling high current, the one we got is rated at 25 amperes. By bolting it to the aluminum base, we’ll be cooling it efficiently. The Sentinel will be used as a filament monitor. As soon as we’ll run out of filament, the Sentinel will send a signal to pause the print. 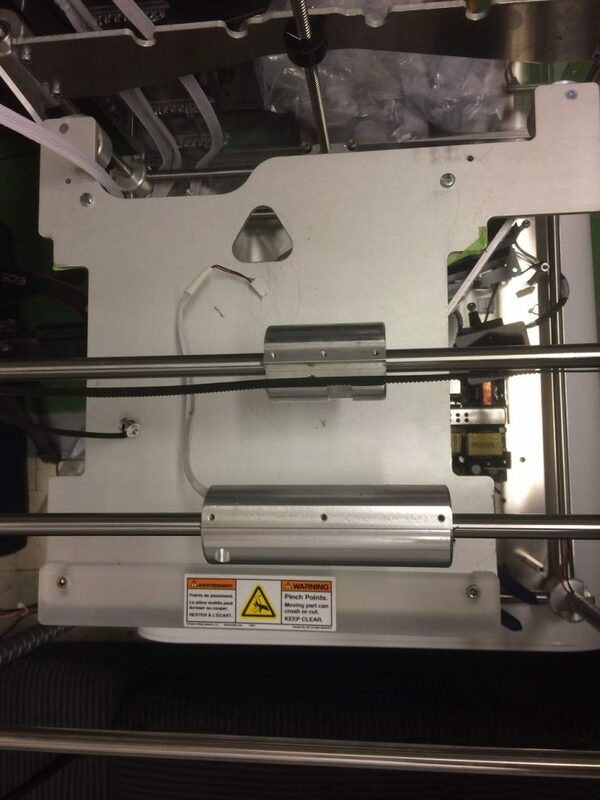 The printer will wait for the user to change the filament and resume the print. It’s a very simple add-on and greatly appreciated in those frustrating circumstances where you imagined you had enough filament. As mentioned before, we have removed the proprietary LCD from the original CubePro and we didn’t replace it. Using the web-based interface from the DuetWifi is a very elegant solution that does not rely on extra hardware. The web interface responds well to different screen size. The menu and features are well categorized and the user experience is great. The liquid cooling system will be very important for this set-up. 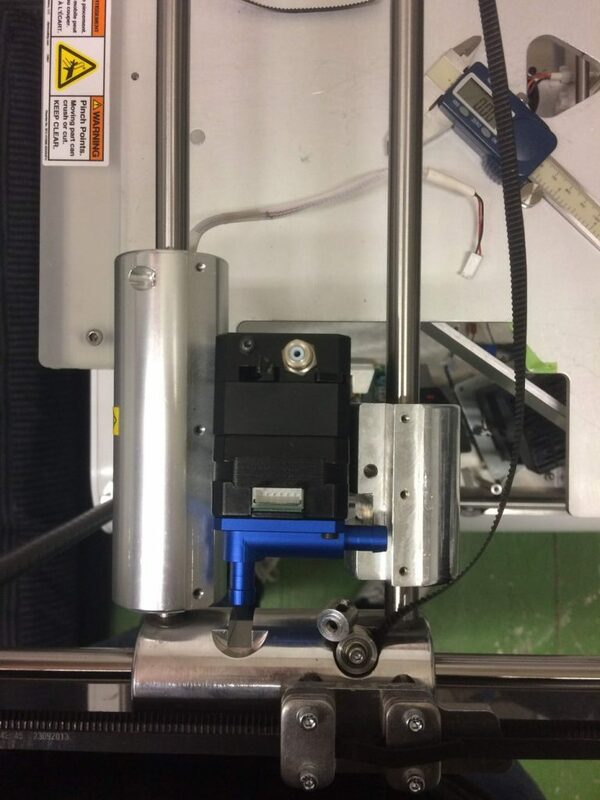 We’ll be keeping the extruder motor and the hotend colder than the environment. Running the environment at 70°C is a little too high for our fans. Circulating water through tubings, blocks, and a radiator does a fantastic job when the fan can’t. Unlike popular beliefs, the water blocks and the water inside don’t add any significant weight to the system. The motor and extruder are still one of the heaviest parts from this carriage. Performance won’t suffer from this arrangement. The loop is rather simple. 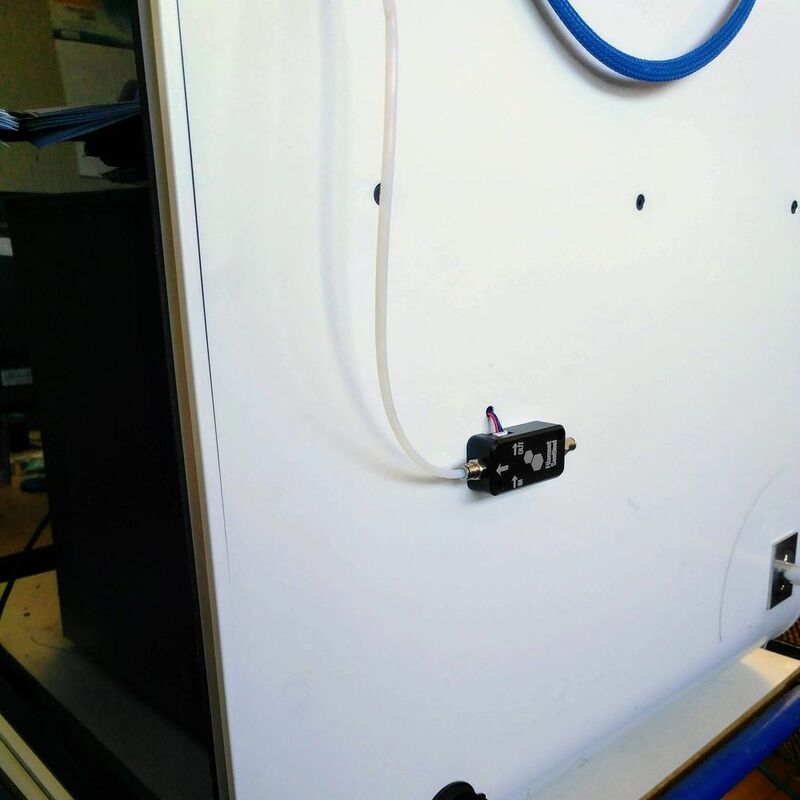 The pump-reservoir combo pushes water through the hotend, then through the extruder motor, then through an 80mm radiator, back to the reservoir. Basically, any commercially available pumps will be enough for this set-up. We suggest a minimum flow of 300 liters per hours. These tests were made using the smallest pump we were able to find, and we still have excellent cooling performance. To give you a rough idea, our hotend and extruder combo ran cooler when setting in a 100°C environment with liquid cooling compared to a 25°C environment cooled by air. Also, since the water blocks design is different from computer waterblock, they have a very low-pressure drop. 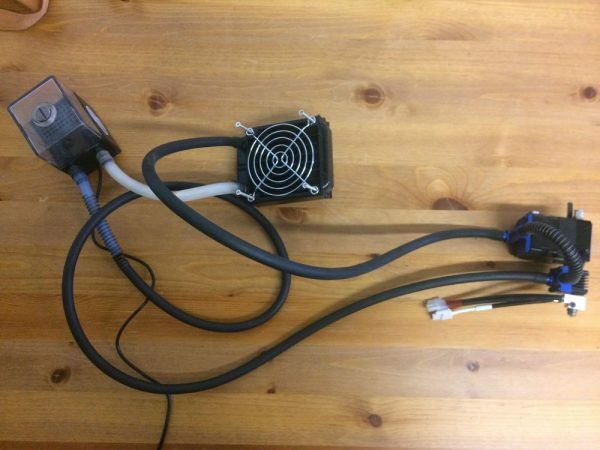 Thus it is not necessary to use a specialized pump for PC cooling for our application. 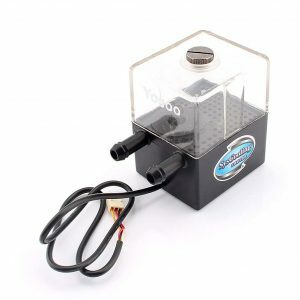 Most aquarium pumps will do the job wonderfully. Regarding the radiator size, 80mm is not the smallest one available, but it is doing its job. A 120mm might be easier to find, and sometimes even cheaper than an 80mm. 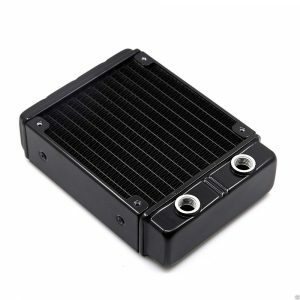 It is preferable to use an aluminum radiator, as the water blocks are made from aluminum too. This will prevent any galvanic corrosion within the system. 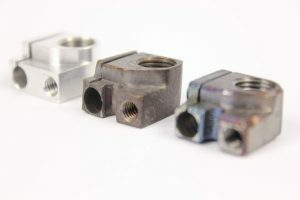 The plating inside the blocks will help prevent any corrosion, but for a high-reliability printer, it is preferable to use the same material across the loop. The liquid is deionized water. We added the EK CryoFuel additive mostly for biological growth inhibition and corrosion protection. Using car coolant such as “Prestone” is not suggested as the high glycol content won’t have any use since we aren’t using the printer under 0°C, will slightly reduce the heat exchange and will be more restrictive regarding tubing type. 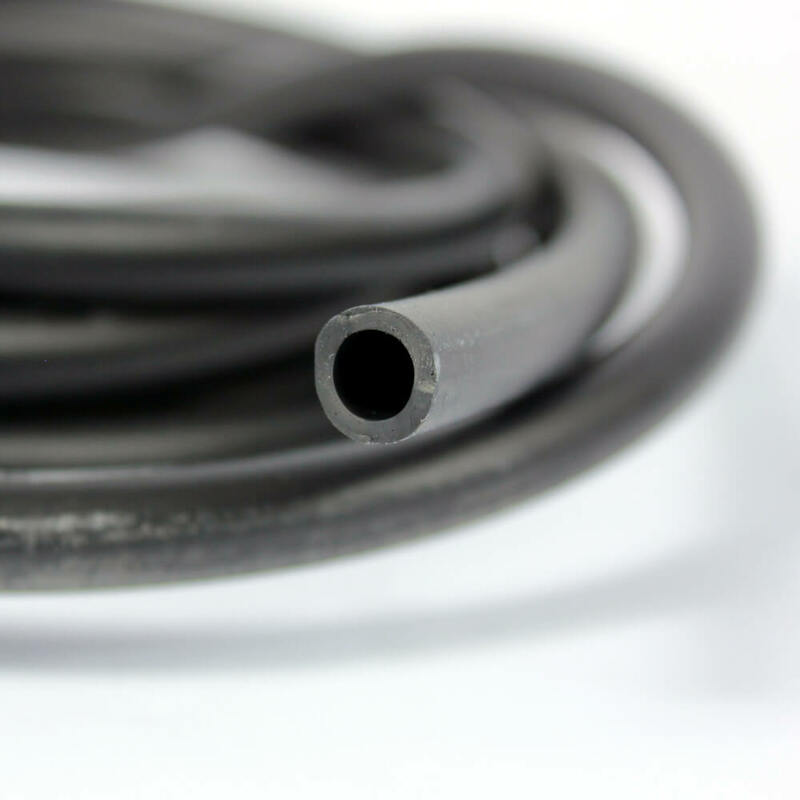 We use two types of tubes: silicone and EPDM rubber tubes. They can handle the constant flex in the system and high temperature. They are also very flexible and easy to fit with the barbs’ fittings. It’s always preferable to combine the reservoir with either the pump or the radiator. These are standard parts that can make it simpler for you to put everything together. 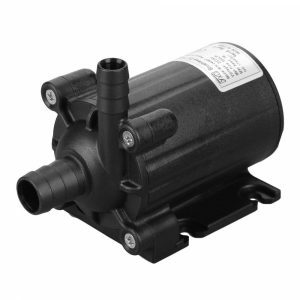 A reservoir is mainly required for ensuring proper operation and maintenance. It’s possible that some bubbles trapped in the radiator find their way out after days of usage, and lower the reservoir water level. It’s very important to run the loop first and ensure everything is working properly. It’s done very quickly and will save you a lot of trouble. In the next and final part of this blog series, we will explain how we installed our functional custom water cooling loop, and finally how we designed the heated bed and the controlled environment.